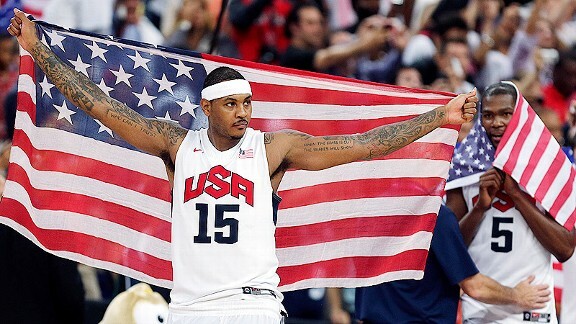 For the second straight olympics, USA Basketball has brought home gold against Spain. Though the game was close throughout, USA was able to pull out the victory 107-100. Spain posed a size issue with NBA stars, the Gasol brothers and Serge Ibaka, in the paint, but USA was able to use their speed and shooting help them win. Kevin Durant helped USA by scoring 30 points along with LeBron’s 19. Carmelo struggled to score ending with 8 points in 21 minutes. Chandler scored 2 points and grabbed 1 rebound. USA went without a loss throughout the Olympics. 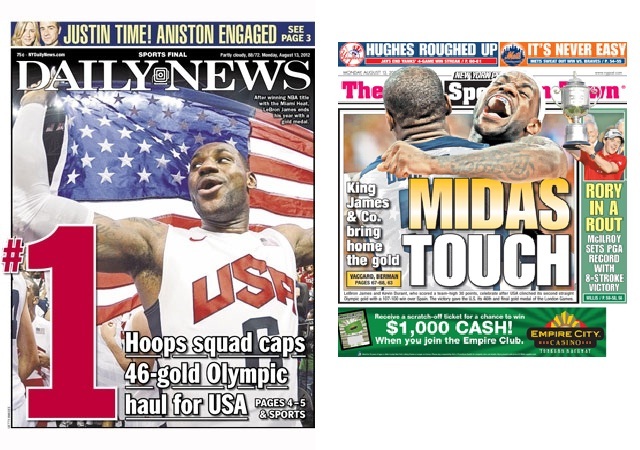 The last time USA lost in Olympics competition was in 2004 where LeBron James and Carmelo received bronze medals.